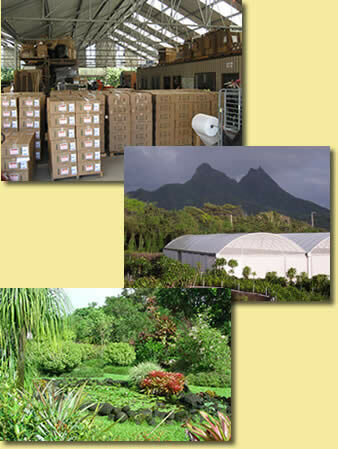 We have a wide variety of positions at Hawaiian Sunshine Nursery. Some positions are only open when the position is posted, but we have some positions for which we recruit on an ongoing basis. If you do not see a position posted but you believe you have directly applicable skills and experience that would benefit our company, please feel free to submit your application or resume using the links below. Open Positions - No Positions currently advertised. Ongoing Positions - Apply at any time to be considered for the next open position. Production Planters - Performs propagation and planting under the direction of the Growers and Production supervisor. Production planters also help clean and prep plants for shipping. Position requires attention to detail and the ability to grade nursery plants for quality, health and appearance. Shipping Department - Work in a specialty shipping environment involving time, temperature and moisture sensitive product. Clean and prep plant materials for shipping. Position requires attention to detail and the ability to grade nursery plants for quality, health and appearance. Occasional Positions - These positions open up less frequently. Please contact us to inquire about current availability. Growers - Growers provide the daily care and maintenance for plants throughout the growing cycle. They are responsible for monitoring plant growth and condition. This position requires a solid background in horticulture, including propagation, fertilization, growth management, pest/disease control and chemical safety. Growers are expected to develop, implement and evaluate care and treatment programs under the guidance of the head grower. This position is perfect for a smart and focused, physically fit individual who enjoys using their brain and their muscles. Sales Associates - In addition to sales and customer service our sales associates act as the primary customer resource for questions about plant care and applications. They facilitate the customers order throughout the order process, from order entry through shipping. This position requires attention to detail and the ability to grade nursery plants for quality, health and appearance. Shipping Clerks - Job responsibilities include selecting and pulling plants for customers’ orders; checking in orders and doing all the “detail” work: cleaning plants, removing damaged leaves, adding potting soil, applying UPCs as needed. We use paper sleeves and cardboard boxes for all shipments leaving the island. We may also palletize and shrink wrap pallets. Drivers - We send our vans and trucks on deliveries 5 days a week. The routes include short runs (1 hour in the neighborhood) to long runs (all day, all around the island). We deliver and merchandise store shelves and also just drop off plants at hotels, airports, stores, other nurseries, etc.. Drivers may drive every day or just a few days per week, depending on needs. When not on the road, employee will work in shipping department or help other teams with nursery work. Production Leaders/Supervisors - Lead positions manage our busy, fast-paced Production Team. We usually have 3 or more projects going at once, with 5-9 people to oversee. We have monthly production goals for hundreds of different items. We plant products from tissue culture labs, rooted and unrooted cuttings, seed, and more. If you can see the big picture and the fine details and have plant background, this may be for you. Computer skills a plus. Plant knowledge, strong organizational skills, ability to change quickly and multi-task are essential. Other Occasional Positions at the Nursery include Landscapers, Maintenance personnel and Supervisory/Management positions. You will need to have Adobe Acrobat or Acrobat Reader version 7 or newer in order to use our Online Application. If you don't have version 7 or newer of Acrobat Reader, you can download the latest version for free at http://www.adobe.com/products/acrobat/readstep2.html or you can print out our Offline Application form and send it by mail or fax. Please check your form thoroughly before you submit it.